The first main boss from Super Mario Galaxy 2 is also one of the best. 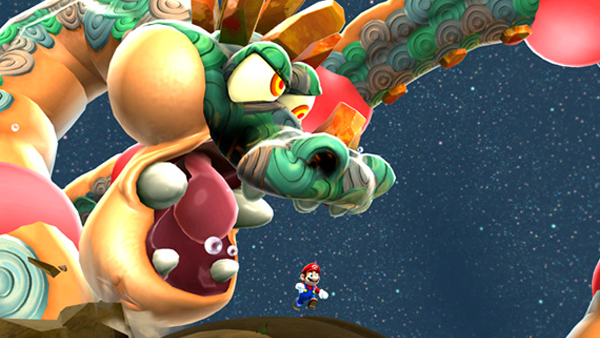 Gobblegut has an incredible design and is easily one of Mario's largest foes. This enormous dragon flies around the planet - which is suitably tiny to emphasise the scale even more - before attempting to devour Mario. Gobblegut isn't a particularly difficult boss to defeat. His writhing body is covered in 'bellyache bulges', which are large, red weak spots that Mario needs to burst. Gobblegut will occasionally attempt to eat the player, slamming into the planet and making a part of his body vulnerable. The fast-paced soundtrack and Gobblegut's sheer, overwhelming size, help to make this fight truly intense. 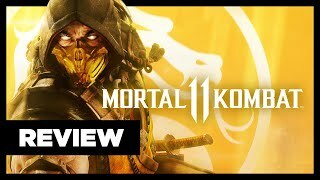 For the first main boss in the game, it's a hell of an opener to what would turn out to be the generation's finest platformer. It's hard not to feel sorry for Gobblegut though - when he died, his body was turned into a race track. Poor guy.